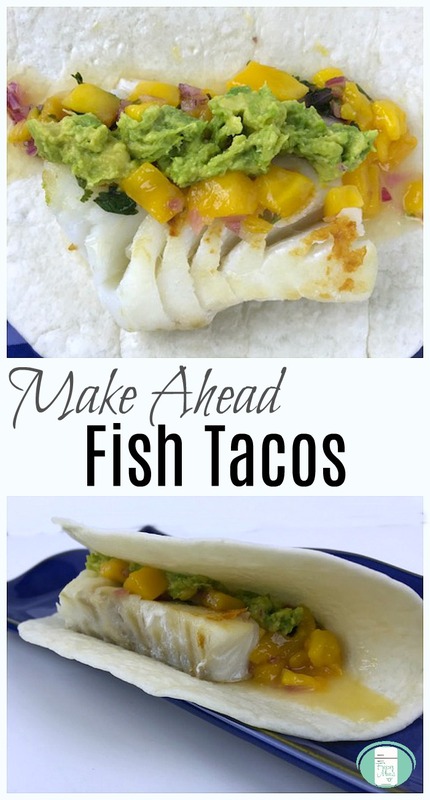 These make ahead fish tacos are lovely for summer. They are so fresh tasting with the mango salsa. 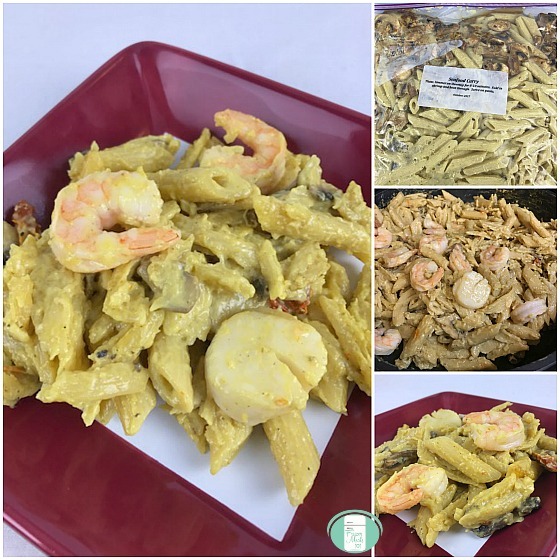 Being able to make everything ahead means in just minutes, supper can be on the table for those busy weekday evenings. I often order fish tacos at restaurants because it’s hard to go wrong with the flavours, but this was my first attempt at making them as a freezer meal. I wasn’t sure how making the mango salsa ahead of time was going to go, but it held up well. I love the colours of the salsa. The sweetness of the mango pairs really well with the slight spiciness of the jalapenos and purple onions to balance it our nicely. Fish doesn’t take long to cook, so having your salsa already made makes this meal take literally minutes to make the day of serving. Place the fish in a medium sized freezer bag. Remove the excess air and seal. Stir together the mango cubes, diced onions, diced jalapenos, cilantro, lime juice, and melted honey. Put the salsa in another medium freezer bag and seal. Staple the two bags together. On the day of cooking, take the bags out of the freezer. In a skillet, grill the fish 3-4 minutes per side. Thaw the salsa. 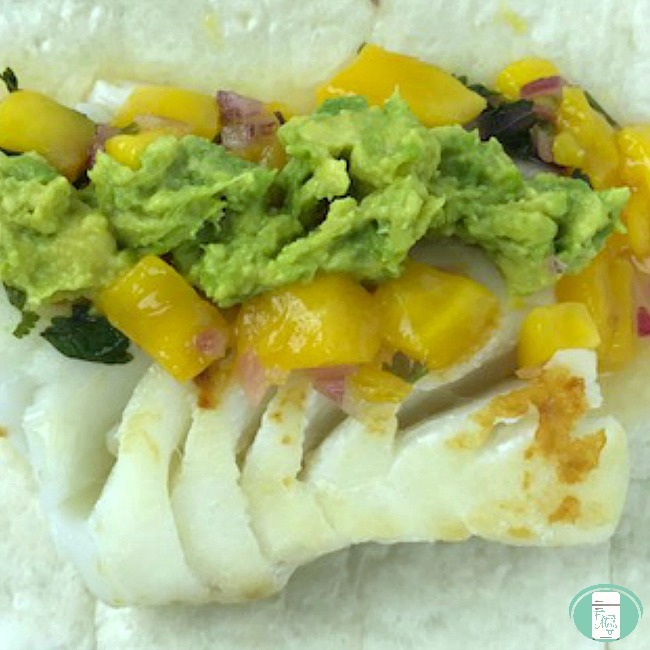 Place a piece of the grilled fish and some of the mango salsa in a flour tortilla. If you want, you can top it with guacamole and/or hot sauce. Yes, you read the instructions right! 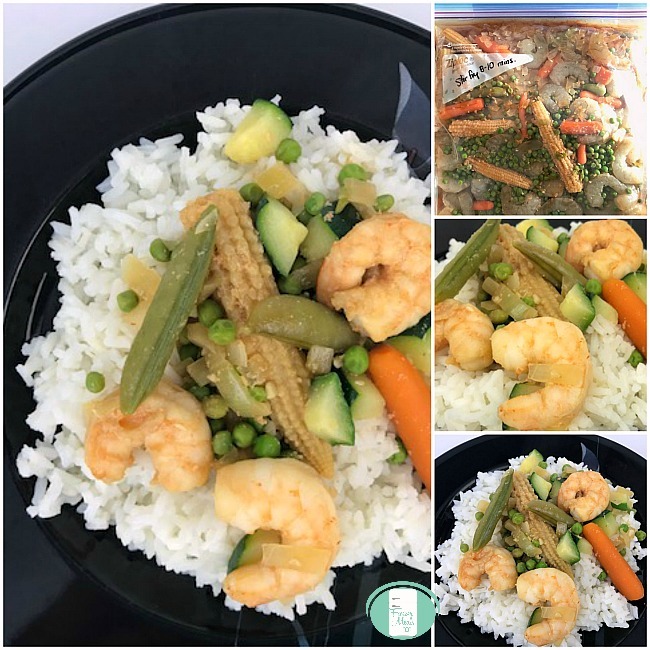 There is a total of 6-8 minutes of cook time on this recipe. That means that once you’ve got these in your freezer ready to go, you can come home, grill up that fish, throw in the salsa, and be sitting at the table eating (or curled up on the couch under a blanket with a glass of wine watching re-runs of Friends – I’m not judging!) in less than 10 minutes! If you want to make this recipe gluten free, all you have to do is substitute corn tortillas for the flour ones and voila! Personally, I love the look and taste of these fish tacos with guacamole. While I usually like hot sauce on my tacos, I find that these don’t need it because of their fresh taste. 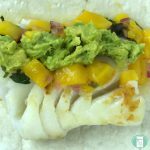 If I had known how easy and fast it was to make fish tacos at home, I would have started doing it a whole lot sooner! These make a great summer meal because you don’t need to turn the oven on so the house doesn’t get hot. They also taste like a little bit of summer on a plate. This easy recipe is one that you’ll make again and again. 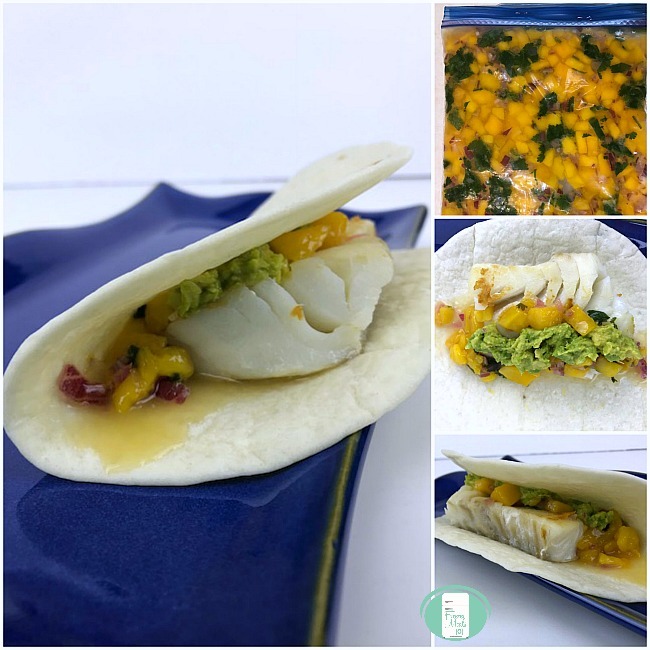 Place a piece of the grilled fish and some of the mango salsa in a flour tortilla. Optional: top it with guacamole and/or hot sauce.